Laura Ann Photography wants to tell your story in an authentic way, but let's be real - some folks don't want to have a visual reminder of overflowing laundry baskets, sinks full of dishes, or the counter that is the catch-all for everything we don't want our littles to get into in every single photo. Those things are a part of your story, but they aren't the whole story. 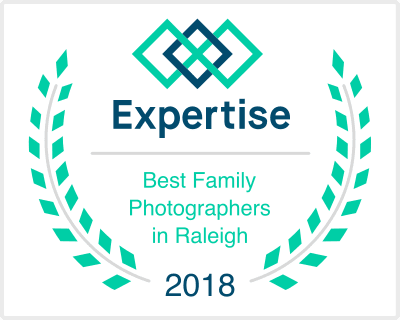 In February, an acquaintance of mine, Kimberly Rost, contacted Laura Ann Photography because she was in need of family photos for a fundraising and awareness campaign for the Leukemia and Lymphoma Society (LLS). Kimberly has some history with the organization and was nominated as a Woman of the Year candidate with the goal of helping to raise money and awareness for LLS. In case you haven’t heard of the Leukemia and Lymphoma Society, according to their WEBSITE, “LLS exists to find cures and ensure access to treatments for blood cancer patients. We are the voice for all blood cancer patients and we work to ensure access to treatments for all blood cancer patients.” After reading Kimberly’s email, I immediately wanted to help her with her goal in any way that I could. A little back story to clarify – why was this cause so important to Kimberly? I had heard of her son, Benjamin, and his story before I had met Kimberly. Benjamin was diagnosed with Acute Lymphoblastic Leukemia (ALL) when he was 3 years old. His family lived in our neighborhood and I remember feeling sad and worried for them when we heard the news. When it was discovered, 97% of his blood was cancerous and his liver and spleen were already enlarged. A few years passed, during which time Benjamin endured many procedures, such as bone marrow tests, chemotherapy, steroids and 35 spinal taps. I learned that he had beaten his cancer when he became a classmate of my daughter in kindergarten. The class had a party for him when he completed his final treatment and was declared cancer free. My daughter has been Benjamin’s classmate almost every year for the past 5 years. We have a soft spot for him in our hearts. In 2016, Benjamin was the Leukemia and Lymphoma Society’s Boy of the Year. He and his family helped LLS raise $953K. The Man & Woman of the Year campaign is a high impact 10-week competition between 17 community leaders who are working to raise money, raise awareness, and raise the bar on this campaign to fight blood cancers, with a goal to collectively reach a record-breaking $1 million. This year Kimberly was chosen to participate and has a personal goal of raising $100K. Going through the experience with her son ignited a drive within Kimberly to help as many others as she can. Just like when Kimberly fought to help save her own son from his disease, she is putting 1000% into this campaign to help others who are in this battle today and who may be tomorrow. I urge you to read more about their story and make a donation HERE. Take a moment to scroll down and see Benjamin, his mother, Kimberly, and his family today. Benjamin is a healthy and happy 10 year-old boy. He enjoys sports, chess with his dad, reading with mom and playing with his siblings. These are a few of the images that I captured of this awesome family during our portrait session. In the time it took you to read this post, another person likely lost their battle with blood cancer. Please help LLS continue to fund blood cancer research projects and more. Donate HERE. Laura Ann Photography loves to work with charities and give back to the community. Book a special LLS fundraising session with Laura Ann Photography. For each session booked, Laura will donate $200 of the regular session fee ($300) to Kimberly’s Woman of the Year Campaign for the Leukemia and Lymphoma Society. Act quickly as the campaign ends on May 20, 2017. Contact Laura today by clicking HERE. A few months ago I met a young man who was working to help grant wishes for foster children. Wilson Matsuo is a typical teenager in many ways, but unique in this - he runs an Etsy shop where he sells handmade bags. Every single cent of profit that he makes from the bags' sales, he donates to a charity called "One Simple Wish." Along with the Etsy shop, Wilson sells the bags at local farm markets and vendor events. Wilson started LovedByWilson in 2016 to raise money for the One Simple Wish Foundation. From a young age he had seen his mother giving of her time and talent to help local charities. He came up with the idea for LovedByWilson after she told him that the bags she had already been making were being given to foster children through the nonprofit, One Simple Wish. Wilson decided he would sell the bags and donate the profits to One Simple Wish. He created and runs an Etsy shop, processes orders, puts the finishing touches on the bags that his mother sews, and ships the orders. He uses a home office and the family bonus room as his stock/work room. All the materials are donated which allows him to send every cent earned on the bags to One Simple Wish. One Simple Wish grants wishes to foster children ranging from things like Legos to laptops. When I met Wilson in December at a small vendor event, I was first impressed by the bags that he was selling. (HERE is my current favorite!) After speaking to him, I was blown away by how well spoken he was and also by his commitment to helping others at his young age. He shared with me all the information above about what he was doing and I immediately told him that I would help him anytime he needed photos for the project. Just before the start of 2017, I met up him and his family at his home to help him tell this story through pictures. The images were needed for an article in a local magazine. Never would I have imagined that one of the images would end up on the cover. That was a nice bonus for me all because I wanted to help out and do something for others. Never would I have imagined that one of the images would end up on the cover. Definitely a nice bonus! With great ideas, the guidance of his parents and using what he has available to him, Wilson is helping others and giving of himself. Wilson has sold hundreds of bags and has raised over $4,500 for One Simple Wish and he isn't done yet! Along with every bag Wilson sells, a bag is also donated to a child in foster care. According to his mom, Amy, in the future, "He hopes to connect individual donors and companies to One Simple Wish and help establish One Simple Wish clubs in schools." Awesome! Go to Wilson's Etsy shop and purchase a bag (or two or ten). Here is the web address: https://www.etsy.com/shop/LovedByWilson?ref=l2-shopheader-name If you live in the Cary/Raleigh area, look for Wilson at local vendor events, craft fairs or farmer's markets. You never know when he may be there selling these bags. You can also ask your company to donate a laptop to be included with the bag. You can have your club, team or school buy bags or help sell them. Another option would be to host a fundraising event for One Simple Wish. You can also grant a foster child's wish by clicking HERE. Laura Ann Photography loves to work with charities and give back to the community. Contact Laura at laura@lauraannphotography.com to start a conversation!